Cartel Doosung has provided some new equipment to shoot with and I plan to blog about each one from the perspective of a young female archer. I am starting with the new Cartel RX-10 bow stand. The RX-10 is a really cool bow stand and it really is an attention-grabbing addition to my archery setup. 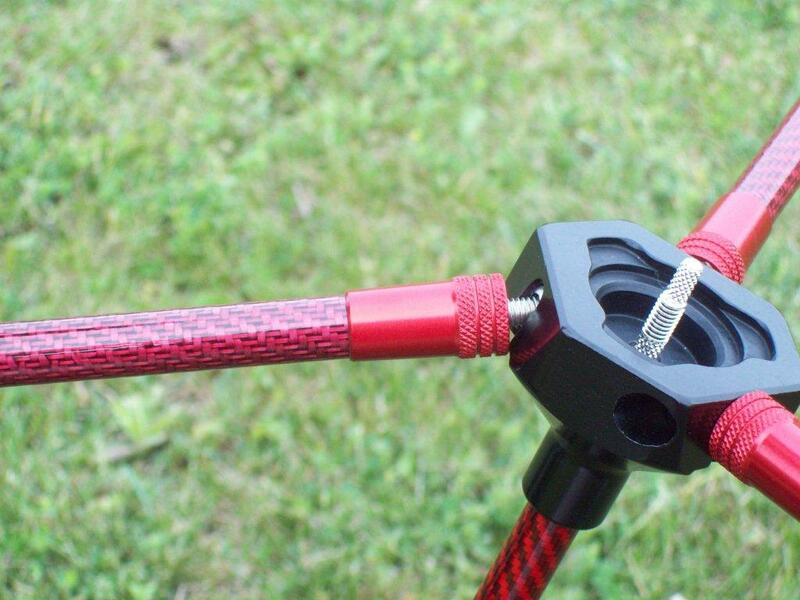 It has two new features that make it a must-have piece of equipment including a new easier method to hold the bow and a simpler quicker method of setting up the stand itself. The bow stand is very easy to set up and take down because the legs of the bow stand are on screws. You can easily flip the legs over and screw them into place and not have to worry about losing any nuts and bolts or dealing with wing nuts. It only took a couple of minutes to adjust the RX-10 to customize it to my bow, to make sure it is stable for all types of weather and get used carrying the bow with the new stand in the new position. A really cool feature about the RX-10 is that it has the ability to hold the bow two different ways, one the traditional method using the bow’s string with the stabilizer pointing up to the sky, and a new method of resting between the bow’s riser and stabilizer long rod as seen in the picture. The new method of mounting the bow has two amazing advantages. First, the bow no longer has the tendency to lean on of the limbs get it dirty or wet. Secondly, it is easier of to grab your bow directly by the handle without having to turn the bow around. The RX-10 it a really awesome bow stand I am enjoying it very much. I look forward to using it for many years. This entry was posted in Archery, Equipment and tagged archery, bow stand, Cartel, equipment, RX-10, sports by jordansequillion. Bookmark the permalink. Thank you for your review on the RX-10 stand. 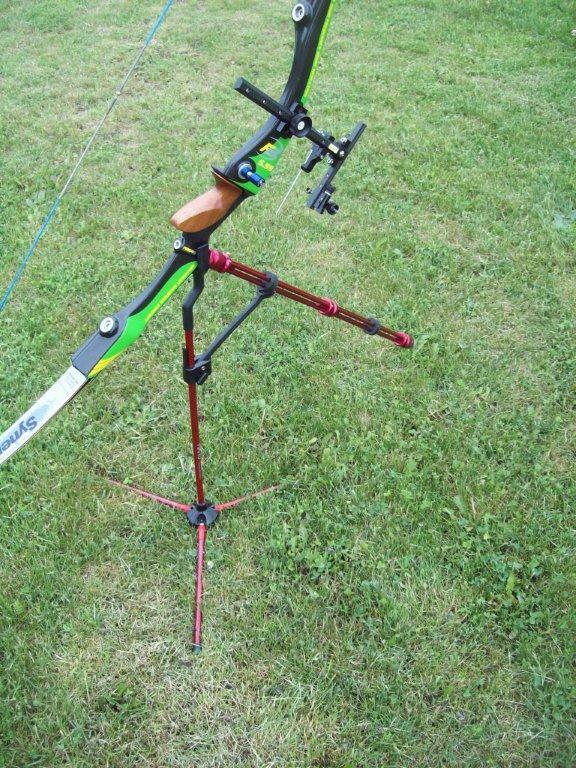 I am new to the sport and was unsure which stand would be best, not being absolutely positive on how the bow was held in the stand / how it would be affected by a stabiliser etc. The attached photo of the bow in situ was ideal. Glad it helped and welcome to the sport. Please visit regularly as I try to write helpful information on a regular basis. Many thanks for sharing. The photos help a lot.